Here for you when you want that Professional, Reliable and Affordable Service to move you, when you want someone who will look after your furniture, your belongings, your prize possessions, like they were their own, someone who will get your items to your new home in the same condition as they left the old one, someone who gives you FREE Goods in Transit Insurance cover up to the value of £20,000 for each load, someone who is reliable and won't let you down, someone who is there to help you on moving day to make the actual move as stress free as possible. 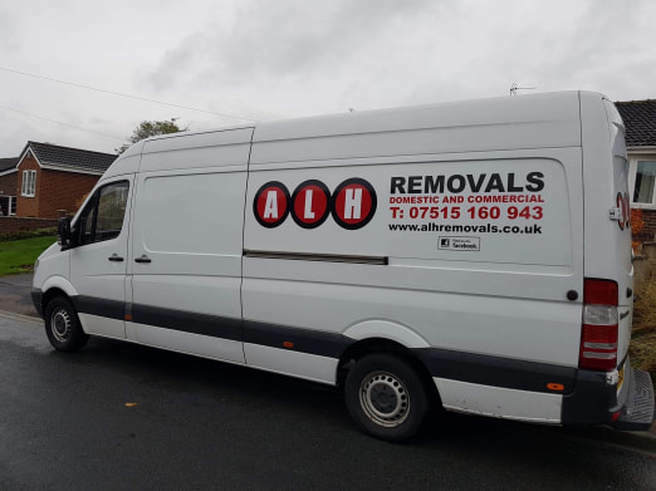 ALH Removals is an Experience and Professional Moving Service providing you with a quality service at an affordable price with lots of additional service for your move included FREE of charge. Call Adrian NOW on 07515 160943 and save hundreds and hundreds of pounds with our quotes. Experienced 2 Men and Van Removal Team to do all the lifting / loading / unloading for you. Washing Machines Disconnected and Re-Connected if Required.